How to place an order in the forex exchange market,what are the features? The knowledge dellle rules of the orders in the forex market is essential to begin trading. We must always bear in mind the possible differences that exist between the various brokers and never forget that the forex market is not regulated. In the Forex Market there are many type orders. Below a brief description. GBP/CHF etc) and the number of lots he is interested in buying or selling. An order to buy or sell currency at a specified price or better. Trader specifies currency and price. Order that is activated when a specified price is reached. A stop order becomes a regular market order when the exchange rate reaches a specified level. 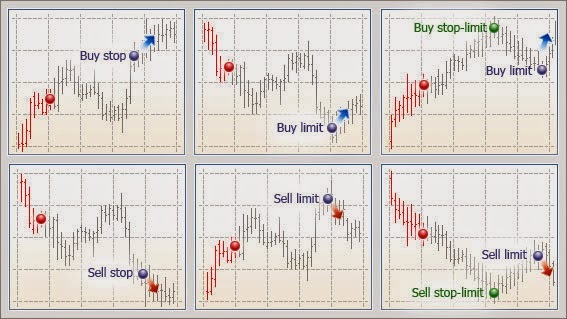 Stop orders can be used to enter the market on momentum or to limit the potential loss of a position. A trader buys 10.000$ (0.1 lot) of USD/CHF at 1.1200in anticipation of an expected 80 pip rally in the USD. In order to protect himself from an unmanageable loss, the trader places a stop loss order at 1.1180 (20 pips below the current price). This way, if the USD drops instead of rises against the dollar, the trader's loss is limited to 20 pips or $20 in this example. Trader expects the EUR to rally vs the Japanese Yen, but is hesitant to enter a buy order because the EUR/JPY is getting close to short term resistance at 117. The trader instead places a buy stop order 10 pips above the resistance level. His stop is thus placed at 117.10. Unless the EUR/JPY goes to 117.10, the order won't be activated. By doing this, the trader is waiting for the EUR/JPY resistance level to be broken before entering the position. Trailing stop orders can be placed below the current market value to allow profits to run. This is a great technique to use so that a trader does not sell too early into a rally, but at the same time protects himself from losing profits already gained. Example: A trader buys the EUR/JPY at 117.10 and it rises to 118. The trader does not want to sell too early, but also does not want to lose the profit he has already gained. So, a trailing stop loss an be set at say 117.70. If the market continues to move up, the order ill not be activated and the trader participates in the future gain. Trailing stop orders would then move up to lock in more gains. For example, if the market moved to 118.20, the trader can now move the stop to 118, protecting more gains and still not selling in case the position continues to climb. If the market moves down through the stop, the trade will be activated and the trader will keep the gain and exit the position. 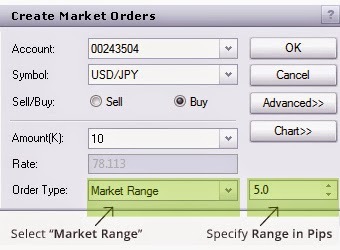 An OCO order is the simultaneous placement of two linked orders above and below the current market price. If either one of the orders is executed in the specified time period, the remaining order will automatically be canceled. Example: Price of the EUR/USD is at 1.1340. A trader wants to buy 20,000 $ (0.1 lots) if the rate breaks the resistance at 1.1395 or wants to sell short if the price breaks the support at 1.1300. The trader can then enter an OCO order made up of a buy stop order at 1.1405 (10 pips above the resistance) and a sell stop order at 1.1290 (10 pips below the support) if the EUR/USD breaks support and gets to 1.1290, the sell stop order will be executed and the buy stop order at 1.1405 will be canceled. If instead, the EUR/USD breaks resistance and reaches 1.1405, the opposite will take place. 1. What are the Market Orders? 2.What are the Limit Orders? 3.What are the Stop Orders? 4.What are Trailing Stop Orders?